(Español) ¿Rejilla Dentada o Lisa? 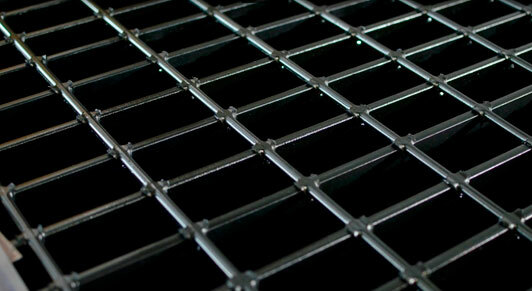 are two type of surfaces, both have been very common for many years now: Steel Bar Grating and Fiberglass Grating. It is extremely important to know the differences and advantages of each one to choose the correct one according to your project. In which environment is the grating supposed to be installed? What loads will it receive and how often? Maintenance costs? Market price? 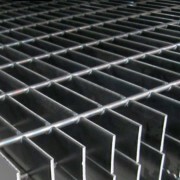 grating or stainless steel bar grating. 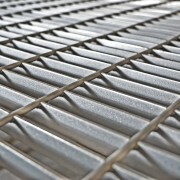 In damp places with high resistance to loads, steel bar grating is the safest choice. 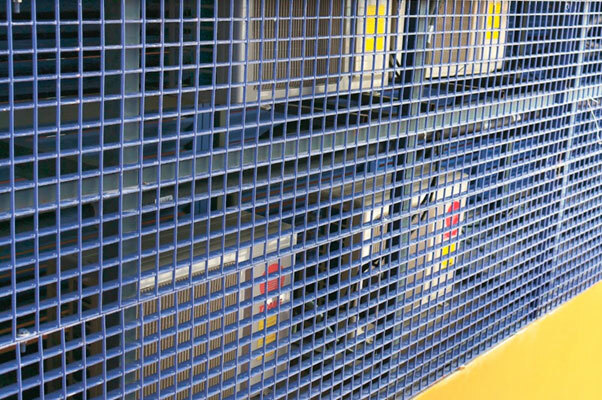 For heavy vehicular traffic, steel bar grating works better too. 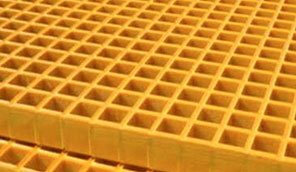 To avoid electrical or heat conduction, fiberglass grating will be the best option. 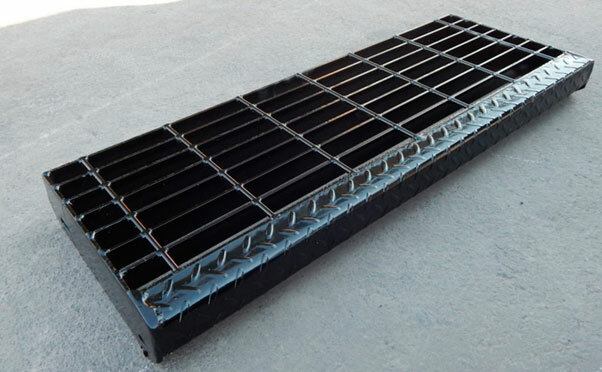 Unlike other materials, such as fiberglass, which are prone to break due to rough practices and uses that take place in the industry, steel bar grating is known for its resistance and durability. In addition, it has more competitive prices regarding cost-benefit. 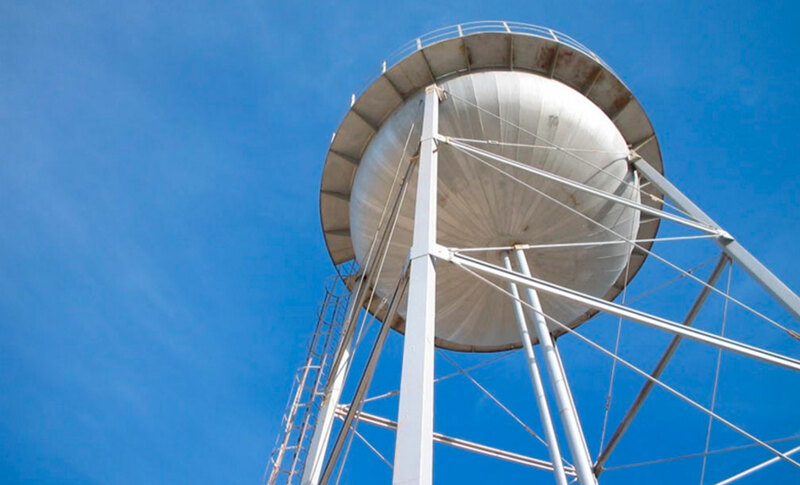 Another outstanding feature is its resistance to corrosion or oxidation when it is galvanized. It is also very light compared to the loads it can resist. Take advice from the experts! Electric welding, also known as electro-forged, is a thermoelectric process in which heat is generated by the passage of electric current. For a controlled period of time and under controlled pressure, the current passes through the junction area of the parts that wish to be welded. 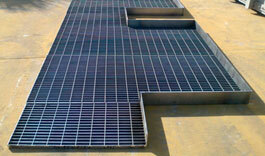 This process is frequently used to manufacture steel bar grating and other types of grid. 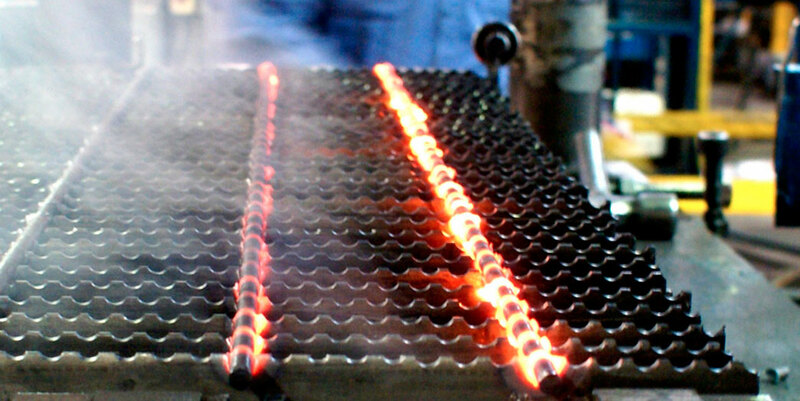 In this manufacturing process, metals are welded without additional materials. 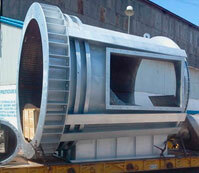 This is achieved through the pressure and the electric current applied to the wished welded area. During the process, metal parts (commonly steel) are pressed together by the welding machine”™s electrodes to assure a firm and constant electrical contact. Subsequently, the electric current passes through the electrodes and heats them until their junction spot melts. 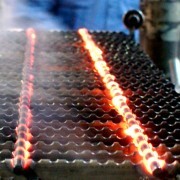 The two pieces”™ of molten metal are combined and they join together. When current stops both pieces solidify, forming a solid metallic connection between both pieces. 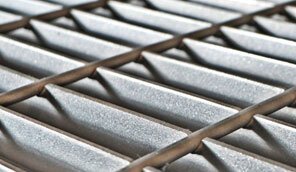 The use of grating has increased significantly in construction projects. This is due to its versatility making it perfect for many areas where other types of products would”™ve been considered before. 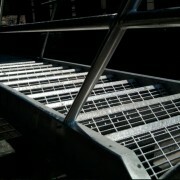 In industrial markets, grating is usually used in platform and industrial floors, as well as on stairs, ramps, storm drains, and among many others. 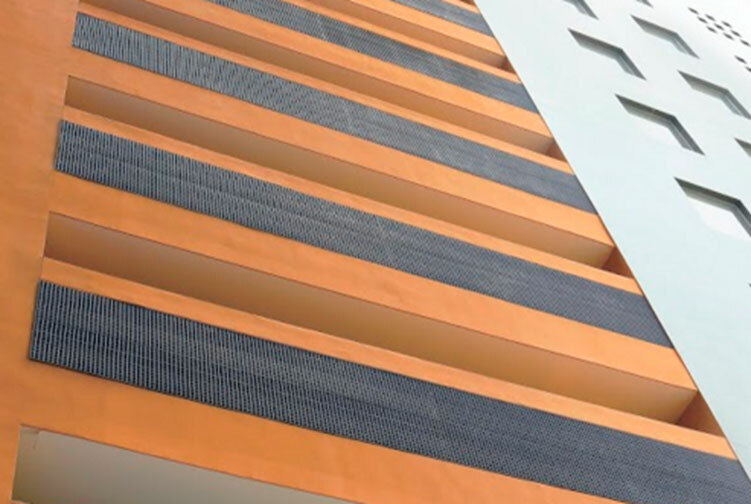 Regarding its architectural aspect, and due to its modern design and variety of finishes, grating fabricated products adapt perfectly to the construction environment; in addition, provide great durability and security. 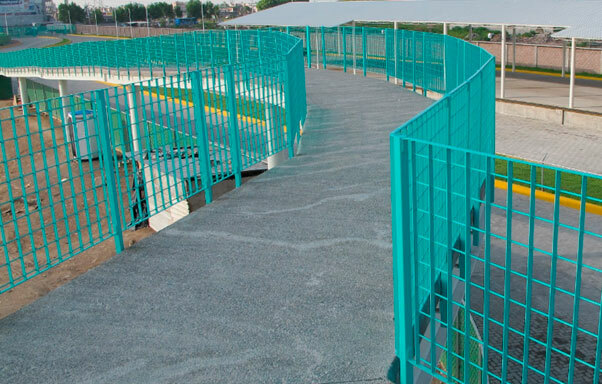 A wide variety of Architectural Products are available, such as: fences, benches, louvers, hand railings, balconies, and others. 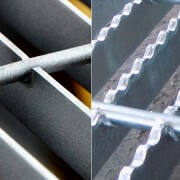 When it comes to choosing a quality material, grating is an excellent option for many reasons: it can be custom fabricated to fulfill specific drawings requirements (custom fabricated grating); it has different loads capacities (Types of Grating); and, above all offers high resistance and elegance. 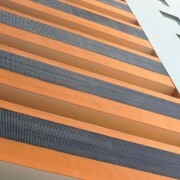 It is also a product that can be found in different finishes, such as: natural steel, black anticorrosive enamel and galvanized. 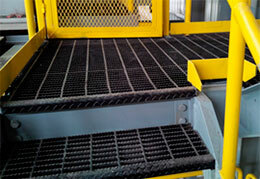 Commonly known as Stair Treads and mainly used in industrial plants. When a project includes in its structure several levels (floors), stairs normally come out as the best option, also contributing benefits such as an easy installation, low costs, customization according the area and almost a null maintenance. 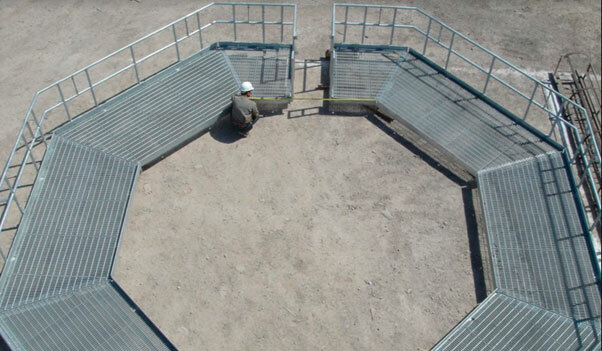 Depending on the project’s purpose Grating Stair Treads offer smooth or serrated (non-skid) surfaces; measure 8-½”, 9-¾”, 11”, or can be custom fabricated. 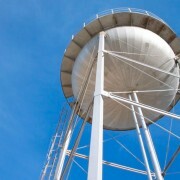 As for the finish, depending on the environment they will be exposed: plain steel, anti-corrosive black paint or galvanizing. 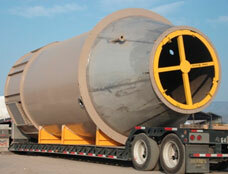 However to ensure greater corrosion resistance is recommended to always galvanize any steel product. Safety and Resistance. 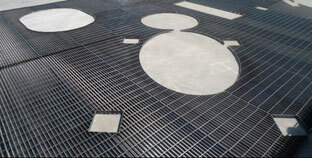 Offer non-skid surface which decreases possibilities of accidents inside the plant. Maintenance Savings. 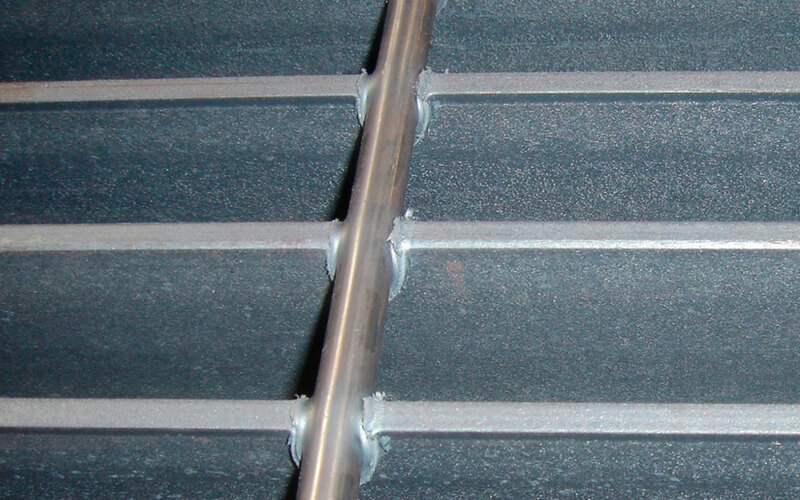 Since they are made of steel and not cement or concrete, bar grating stair treads do not break or crack so easily eliminating maintenance costs. No Cleaning Required . 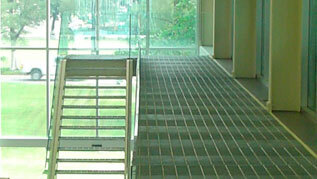 Since stair treads are made of steel bar grating; fluids, gases and other substances are able to pass through. Allow Fluids Flow. Eliminate possibilities of flooding and slippery floors that can be dangerous to transiting personnel. Gas passage. 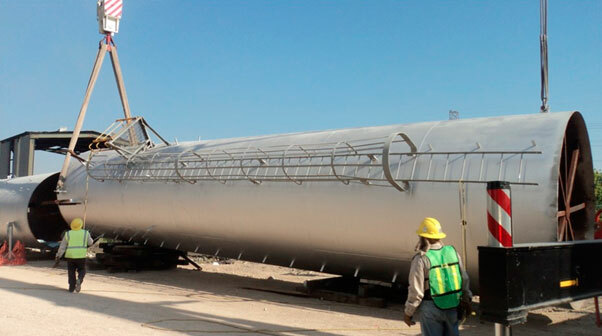 Prevent accumulation of gases that may cause poisoning or visibility problems inside the plant. 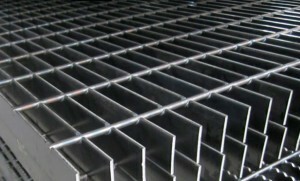 During purchasing process is important to consider the quality of the steel bar grating components since this affects directly in its resistance. To supervise quality, we enlisted 3 steps for you. 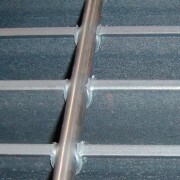 Bearing Bar: made from from steel strip. This component is in charge of supporting loads. Cross Bar: thick wire, normally smooth, sometimes extruded. Its functions are to group, and maintain equidistant bearing bars. 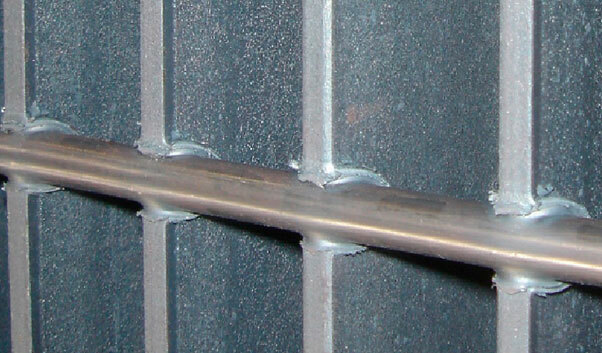 Banding: made from from steel strip, used to close up tips of the regular support bearing bars in a standard panel. Also helps to maintain a balance in loads. First supervision. 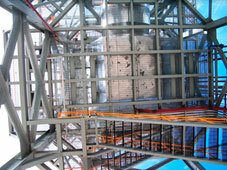 Ensure that the panel’s dimensions are 3´x 20´. 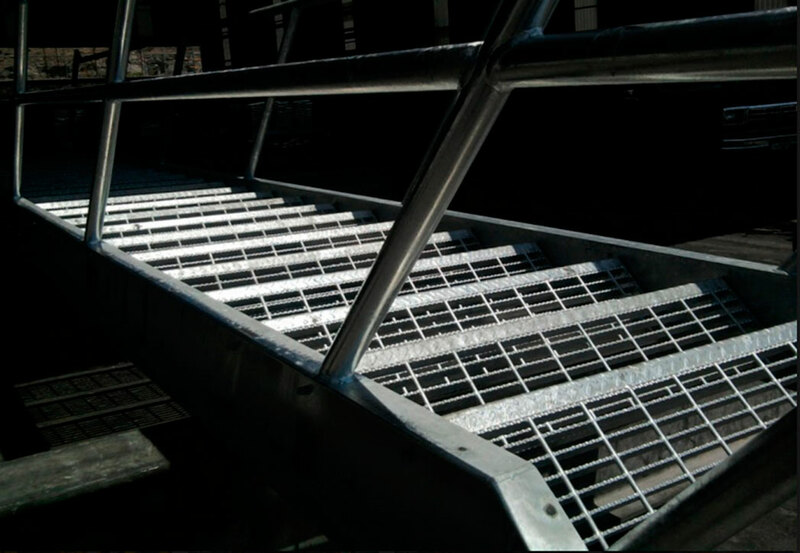 Important projects such as marine platforms, industrial plants, among others, demand certified grating to ensure a perfect performance. To learn the required certifications for your project click here. Second supervision. Count the bearing bars that make up the panel they should be 34, and 60 cross bars. Every space between each cross bar should measure 4”. 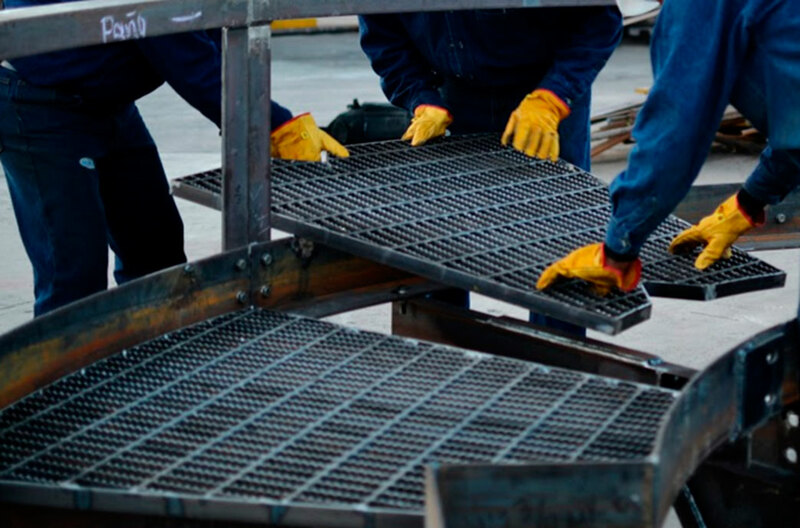 With this supervision you will know if your manufacturer is or not an expert in steel bar grating fabrication. Third and last. 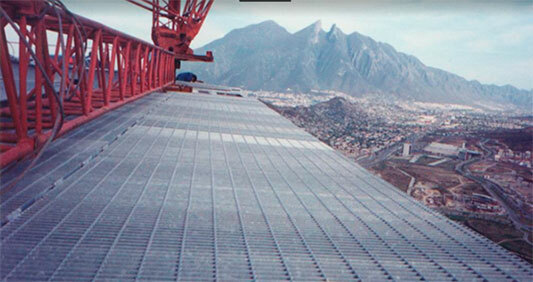 Revise permitted tolerances of bearing bars and cross bars for the ordered type of grating. A micrometer is the best alternative to measure them. 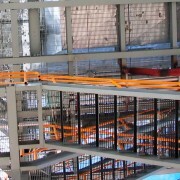 Tolerances are published by NAAMM (National Association of Architectural Metal Manufacturers). Doing this supervisions you minimize chances of receiving non certified grating and guarantee price and quality of what you’re buying. ¡Take advice with the experts!